Sadly, not all marriages can be saved. Statistics Canada reports that more than one-third of Canadian marriages will end in divorce before thirty years have passed. Yet when the time comes for a couple to end their union, the sadness may really begin. 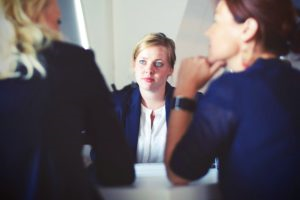 The high cost of hiring a divorce lawyer shocks many people at the same time that the complexities and intricacies of a divorce terrifies them. Do-it-yourself divorce books have flooded the market recently, a seeming panacea for people who can’t afford to pay lawyers to handle their case. 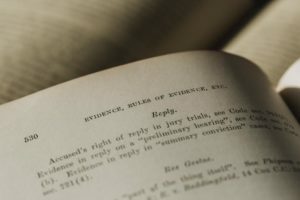 Unfortunately, these products are often just cold reprints of legal documents and forms, providing precious little of the information they promise and leaving many people in the dark about what to do in the legal landscape. Behrendt Law Chambers, a divorce law firm in Ottawa, is changing all that. “Divorce Coaching” is a new approach to the lawyer-client relationship, offered by Behrendt to give couples an alternative to high-fee full-service legal advice while still providing them with support, guidance and professional knowledge. “Divorce Coaching isn’t for everyone,” Behrendt points out. When a case is complex, it’s generally best to let an expert handle the intricacies of the law. “But if your case is reasonably straightforward, you should be able to handle it yourself with help from Divorce Coaching,” he says. Surprisingly, Behrendt says that Divorce Coaching can be equally beneficial for people whose divorces are amicable as well as those for whom the divorce is acrimonious. For couples who are able to resolve issues including the division of assets, custody, and support, Divorce Coaching will help you “dot every ‘i’ and cross every ‘t’ so that your case will proceed smoothly and quickly,” says Behrendt. When spouses are at odds in a divorce, legal fees can skyrocket into the tens of thousands of dollars. Without a legal degree of your own, “you’re really not equipped to go through the process or handle any of the problems that may arise,” Behrendt observes. With Divorce Coaching, clients receive guidance regarding court documents, information they need disclosed from their spouse, and court procedures. In addition to providing insights and advice, Behrendt reviews and prepares financial statements, conducts legal research and writes letters as part of Divorce Coaching. Behrendt also works directly with clients to prepare them for court appearances, suggesting strategies and explaining likely outcomes.